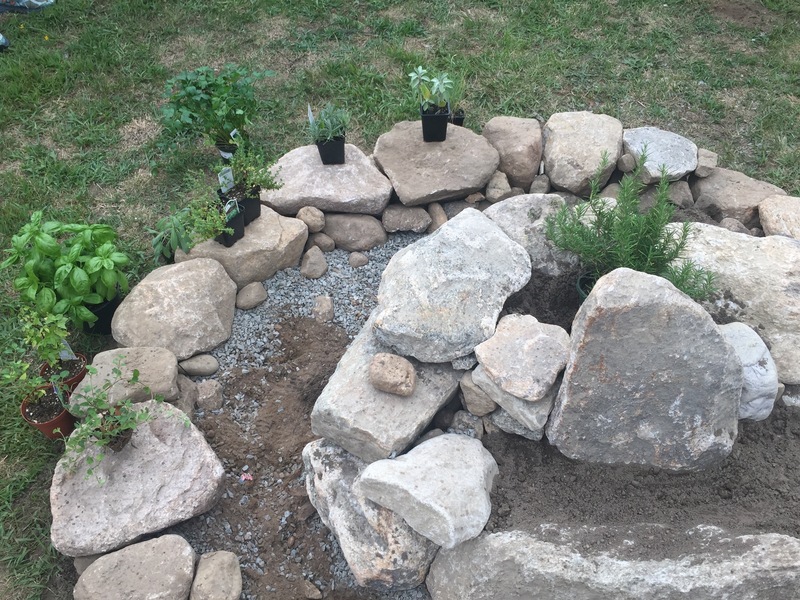 A spiral herb garden is a beautiful, functional, and sustainable feature used in home and public gardens. 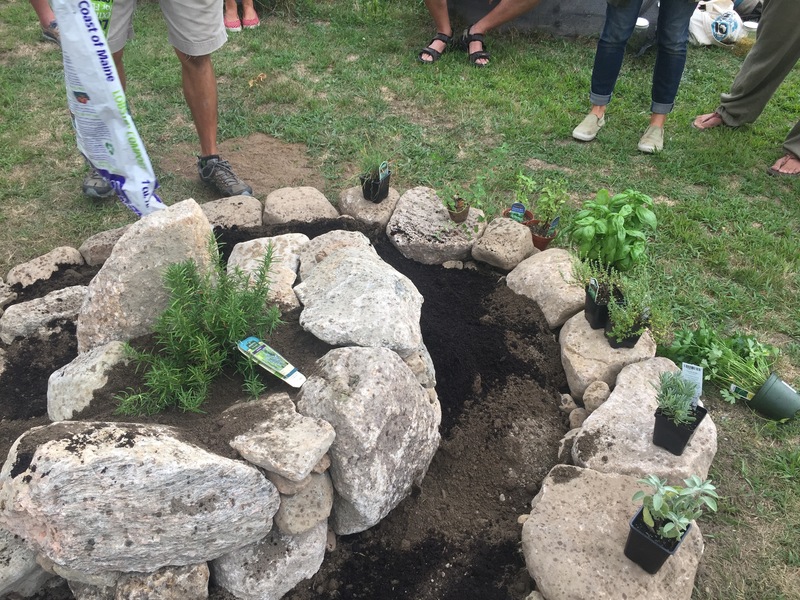 Using natural, native and abundant materials a spiral herb garden creates micro-environments that allow your favorite herbs to thrive, long term, for your enjoyment and health as well as your local pollinators. 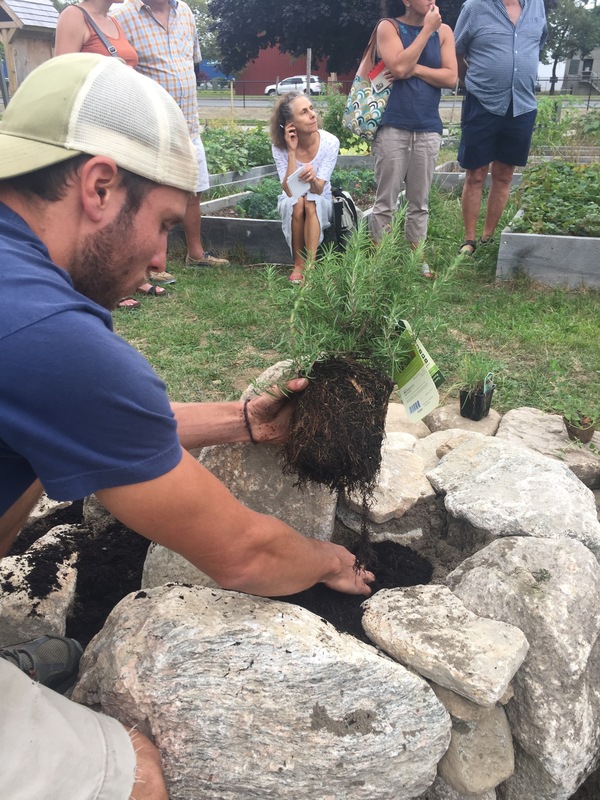 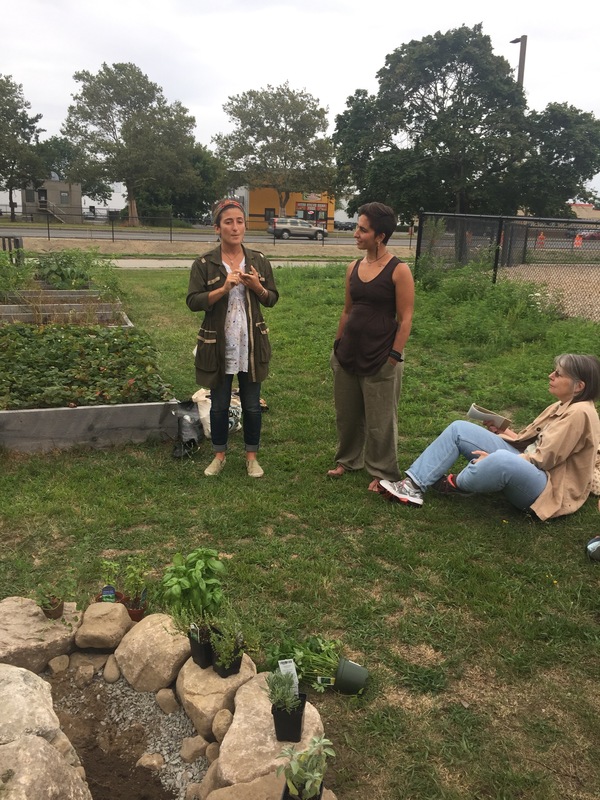 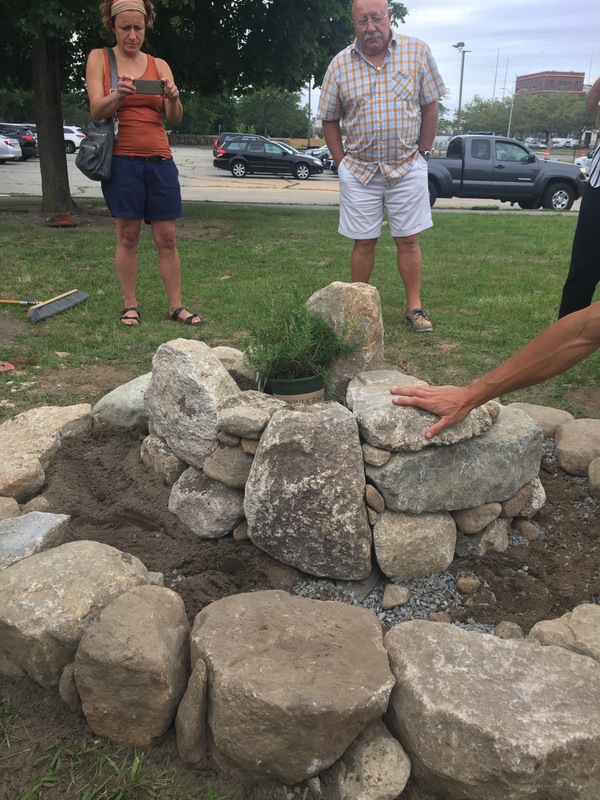 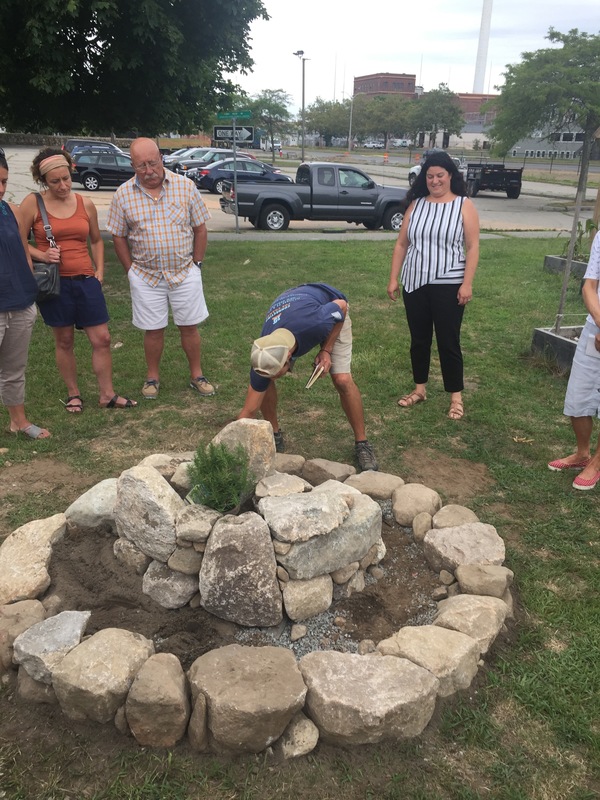 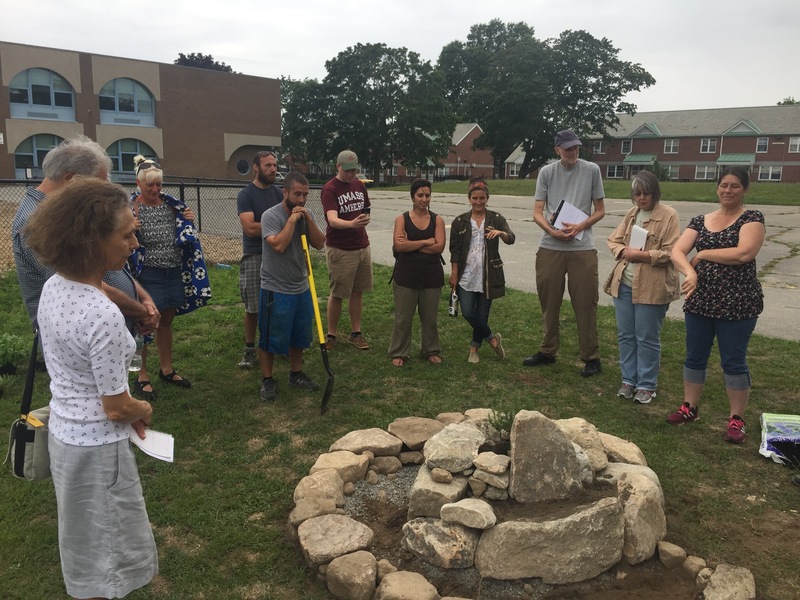 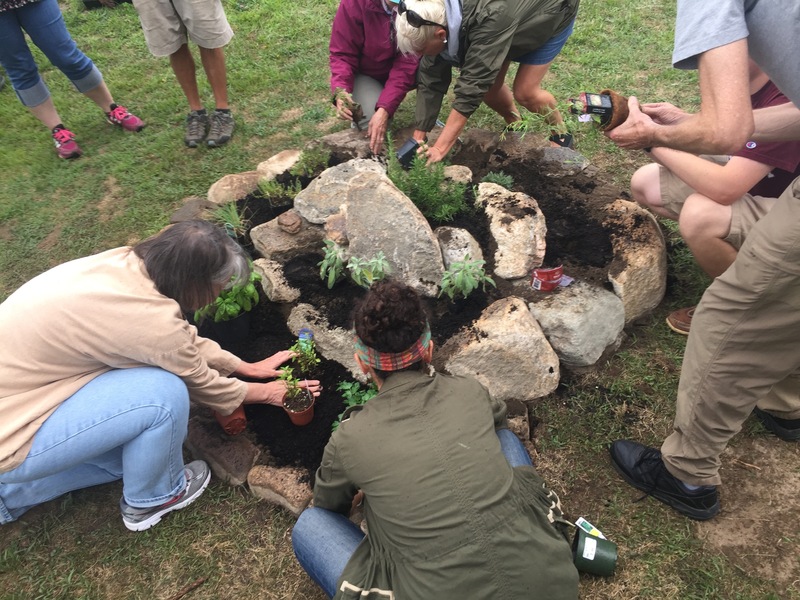 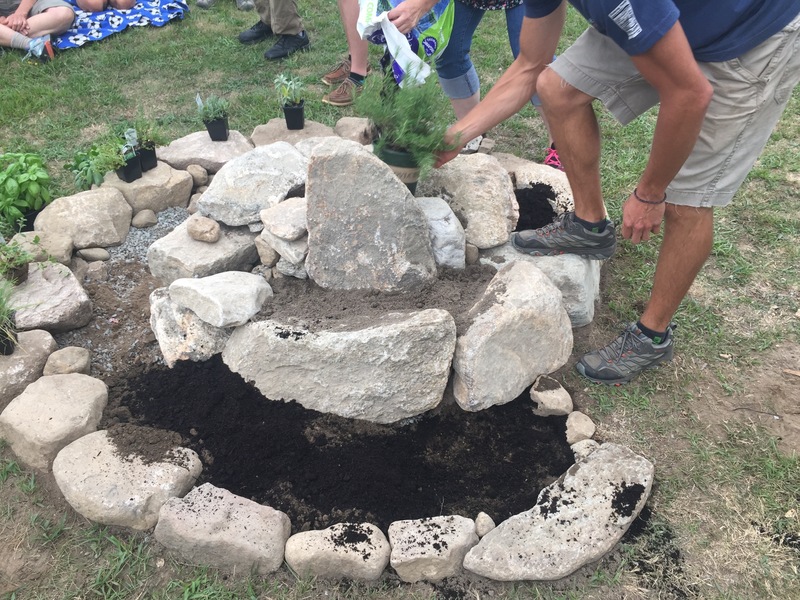 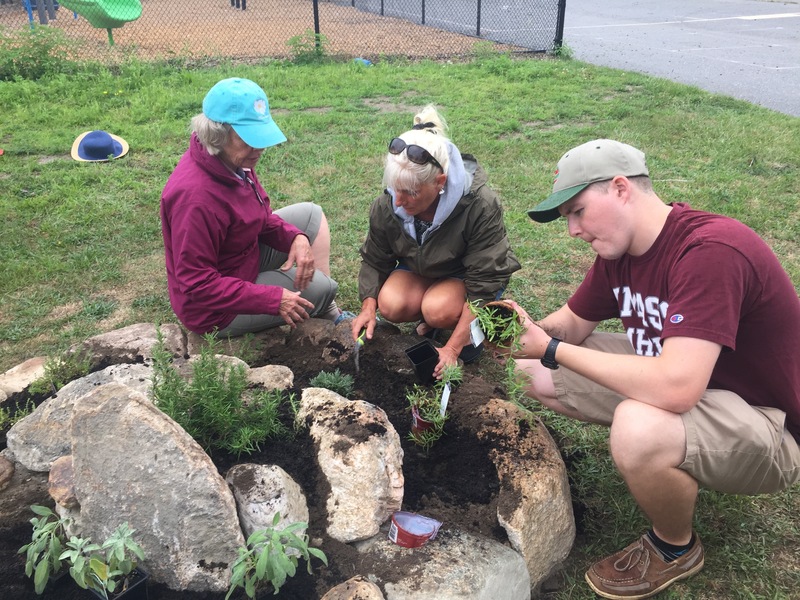 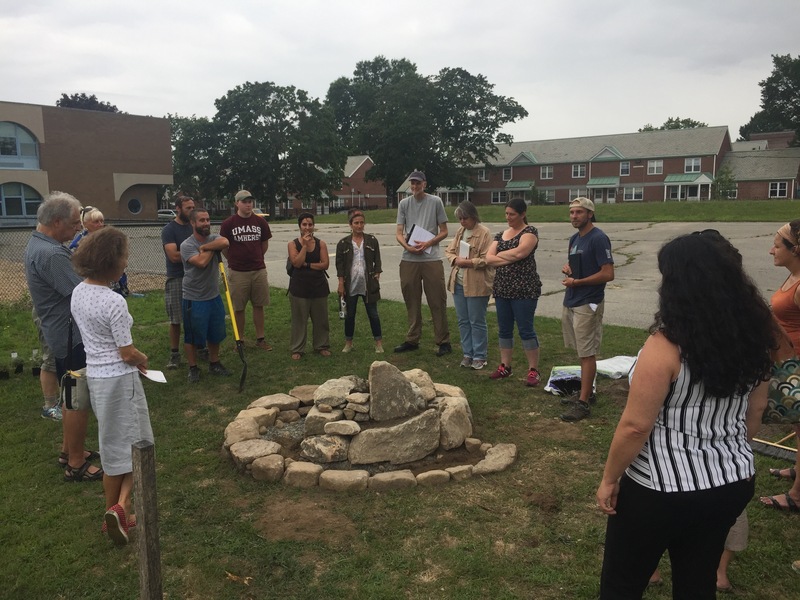 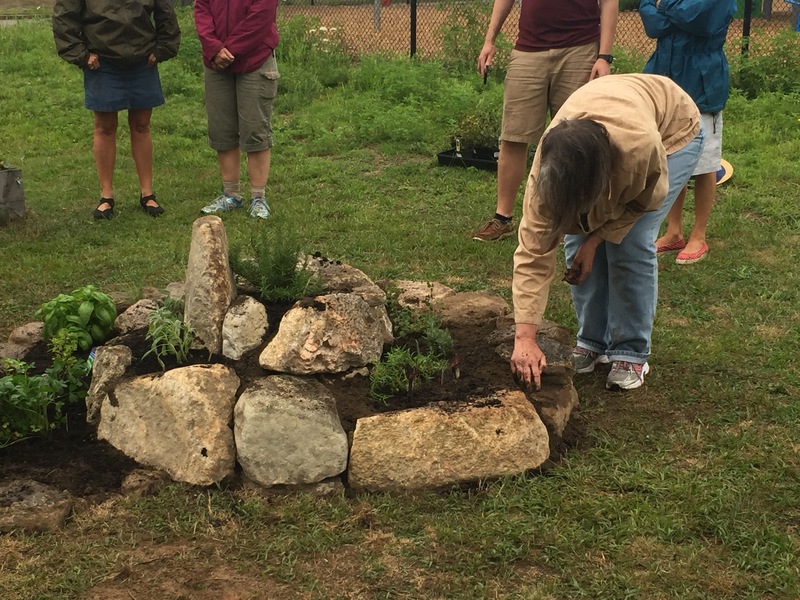 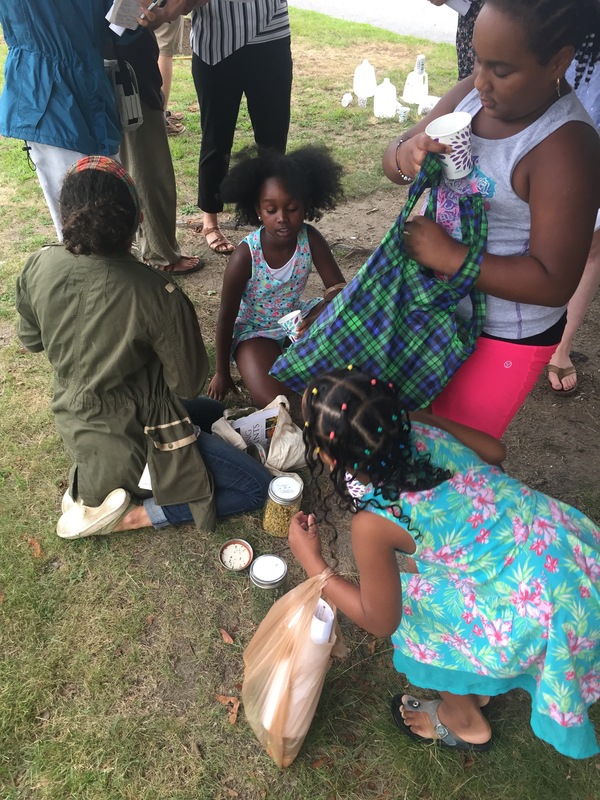 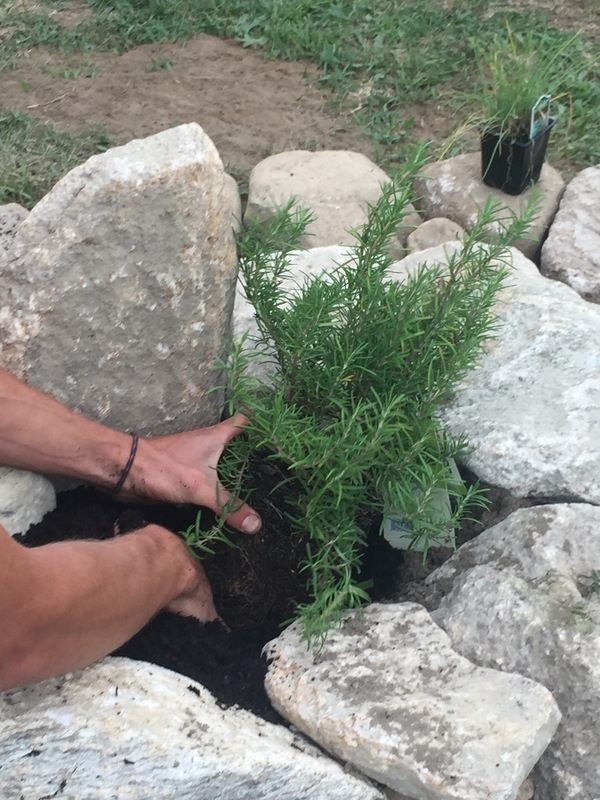 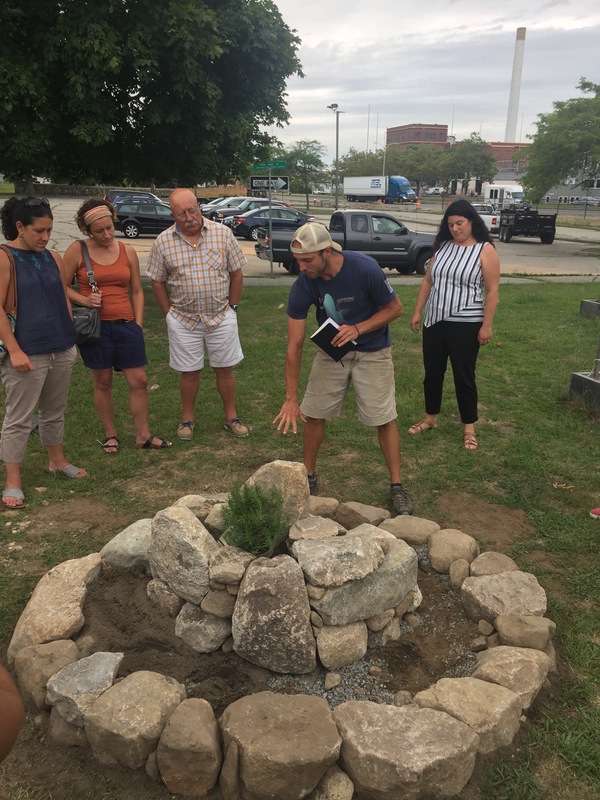 On Tuesday, August 15, GROW Education and SEMAP – Southeastern Massachusetts Agricultural Partnership hosted a workshop that introduced gardening enthusiasts to the basics of planning, constructing, planting, and caring for a spiral herb garden. 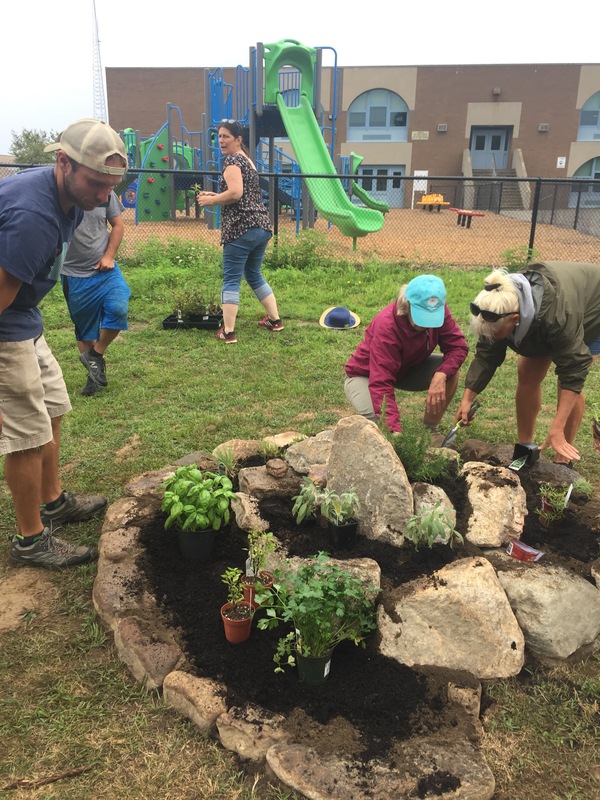 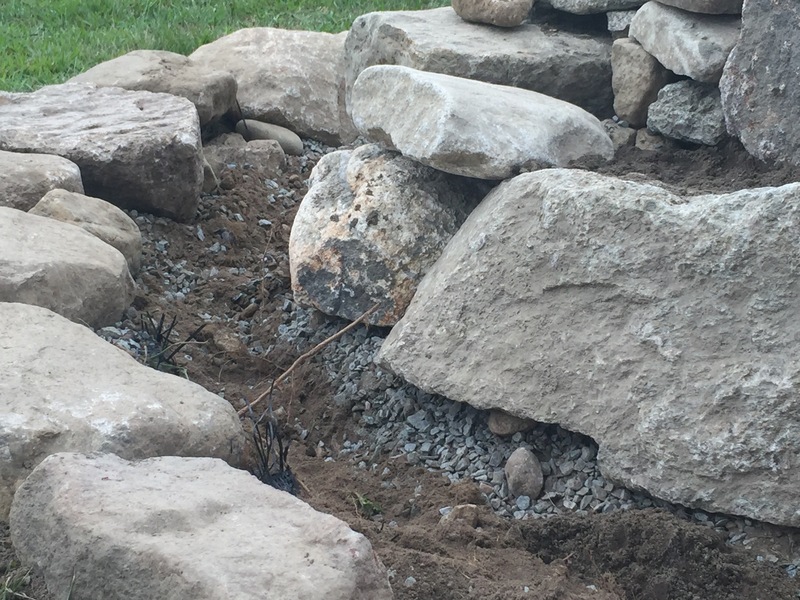 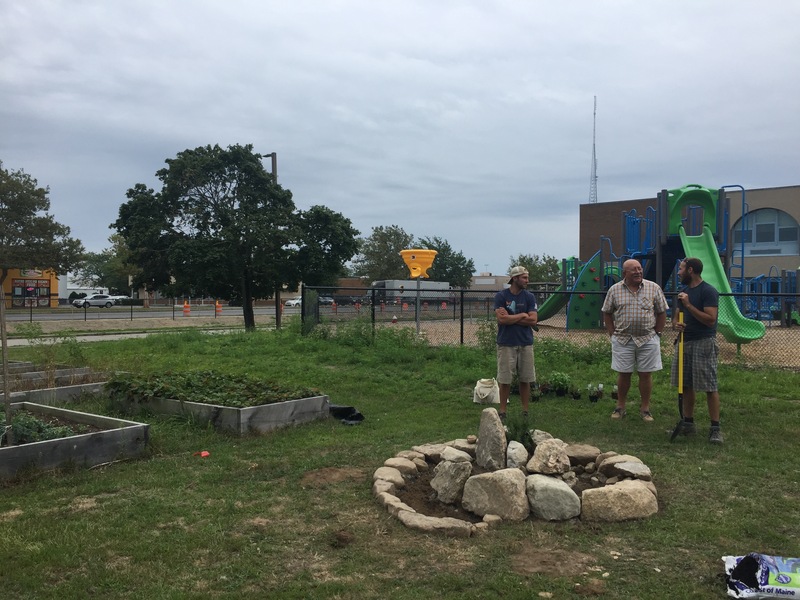 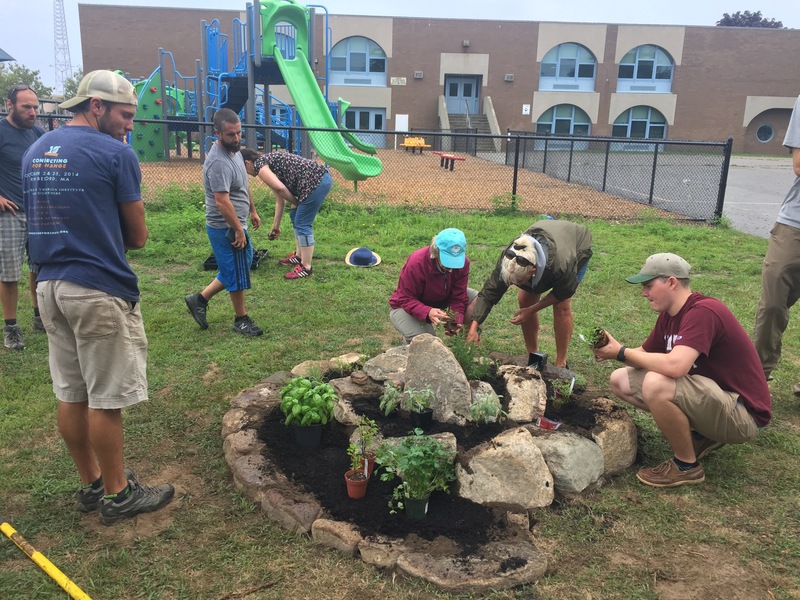 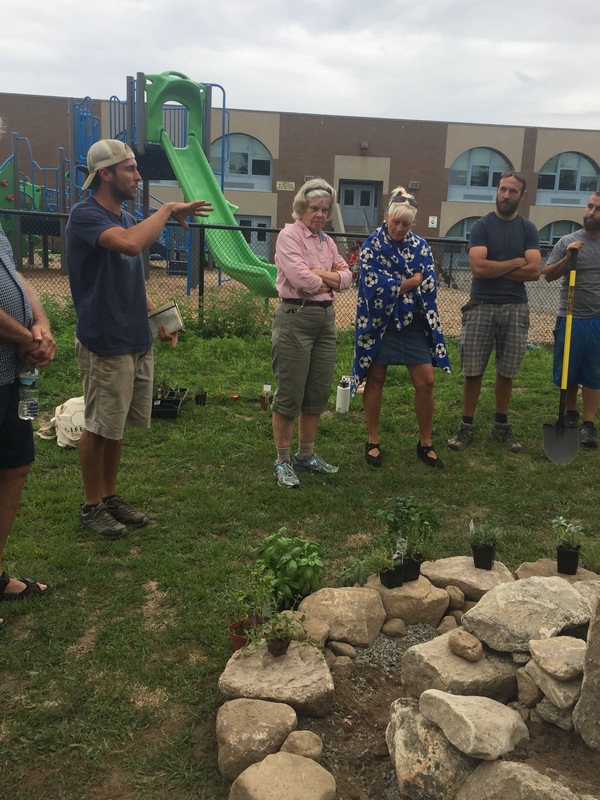 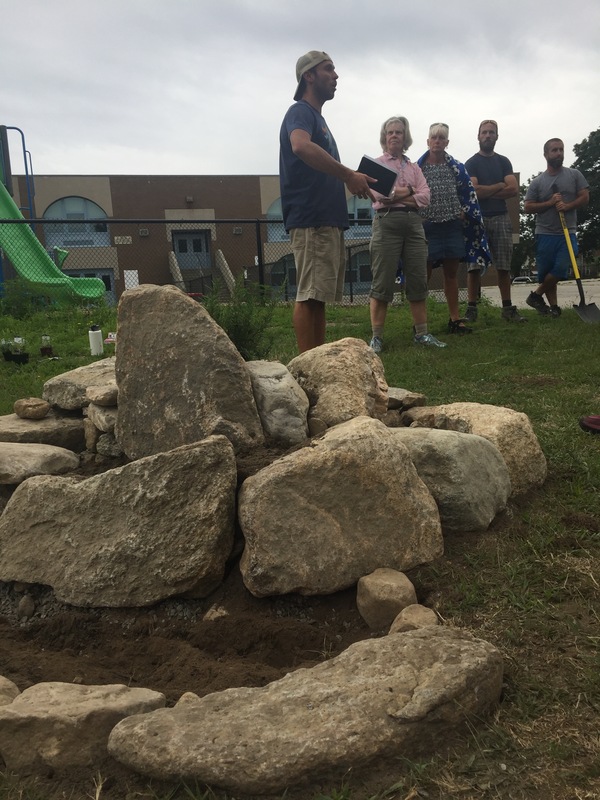 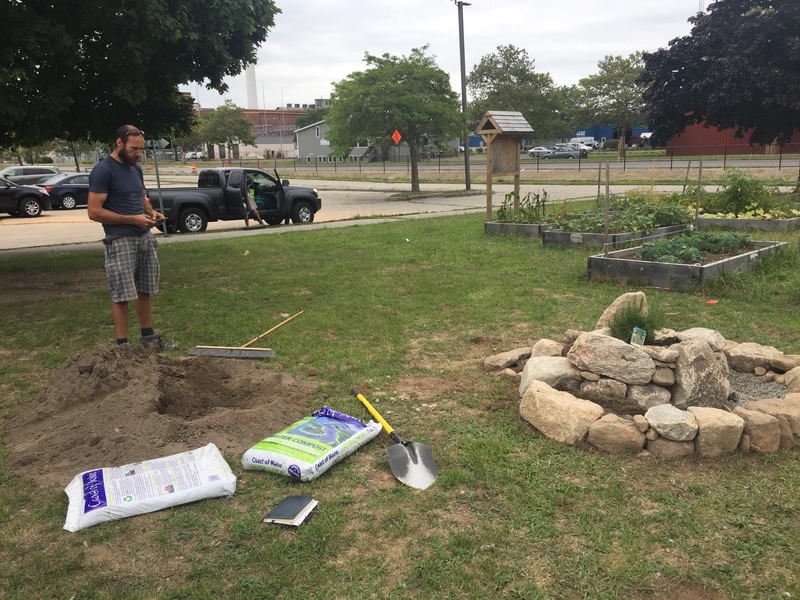 Held at the Gomes School community garden, the event was led by Adam Davenport, GROW’s Garden Operations Manager and local masons from Peter Simmons Masonry. 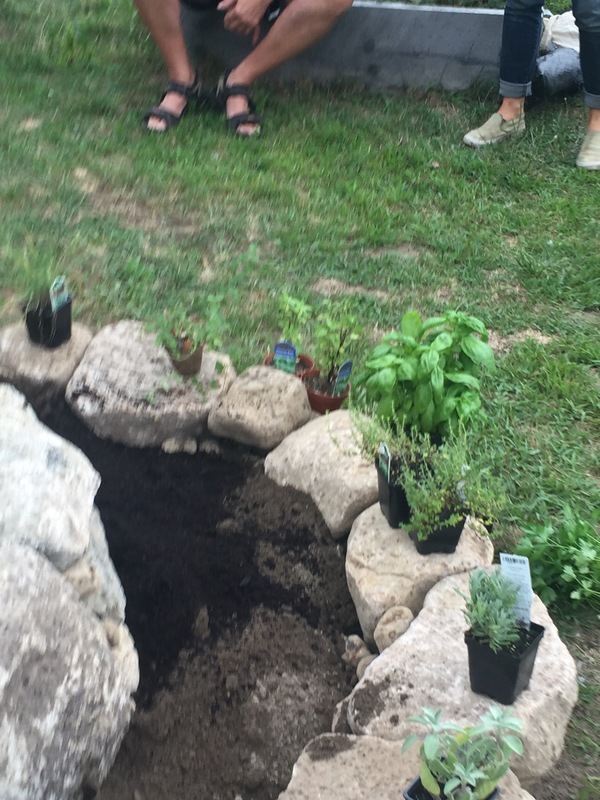 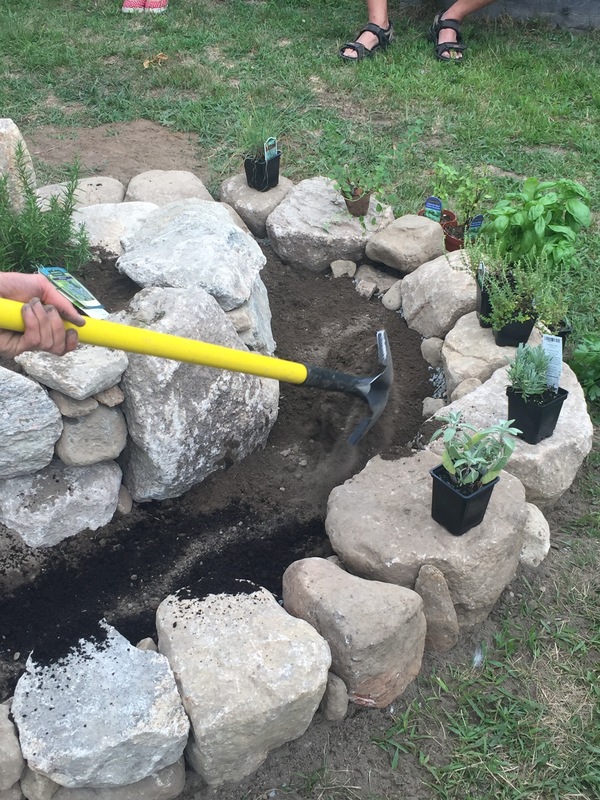 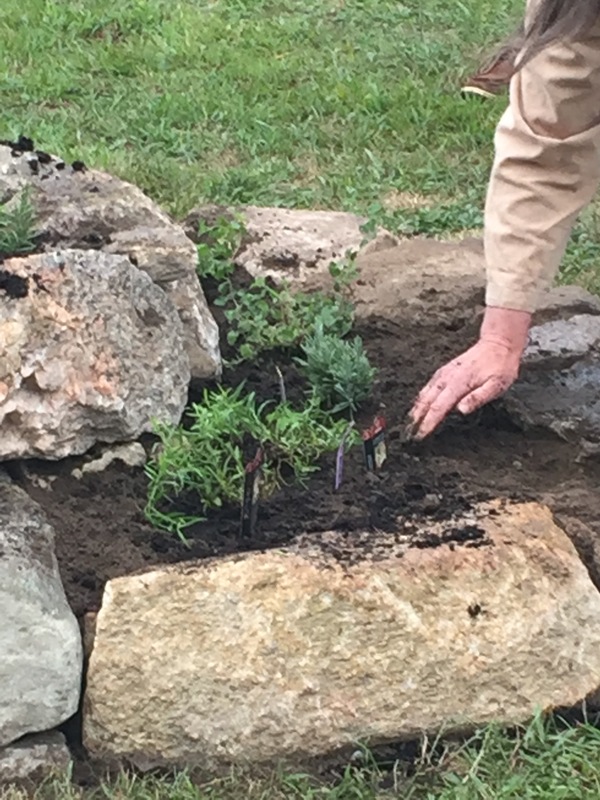 Adam kicked off the event by explaining the basic steps and functions of building a spiral herb garden. 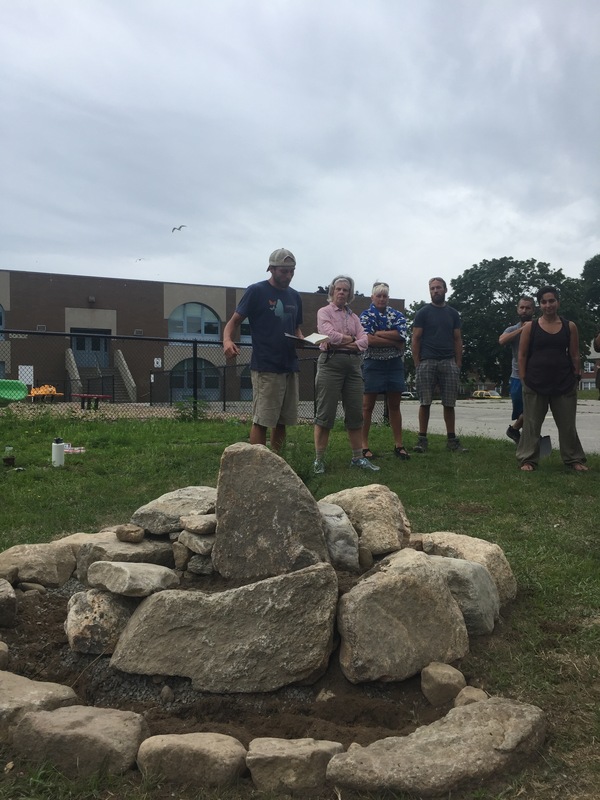 The masons then added information about choosing the proper stones and how to construct the spiral with both form and function in mine. 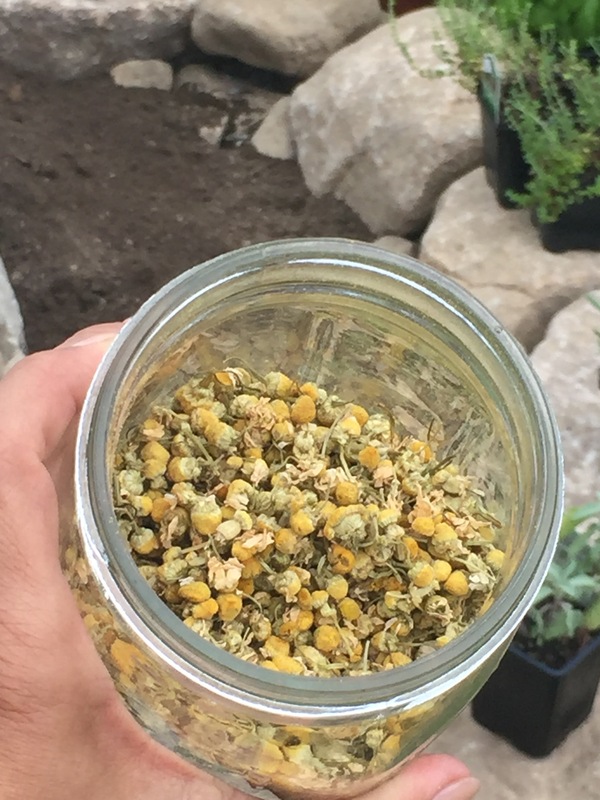 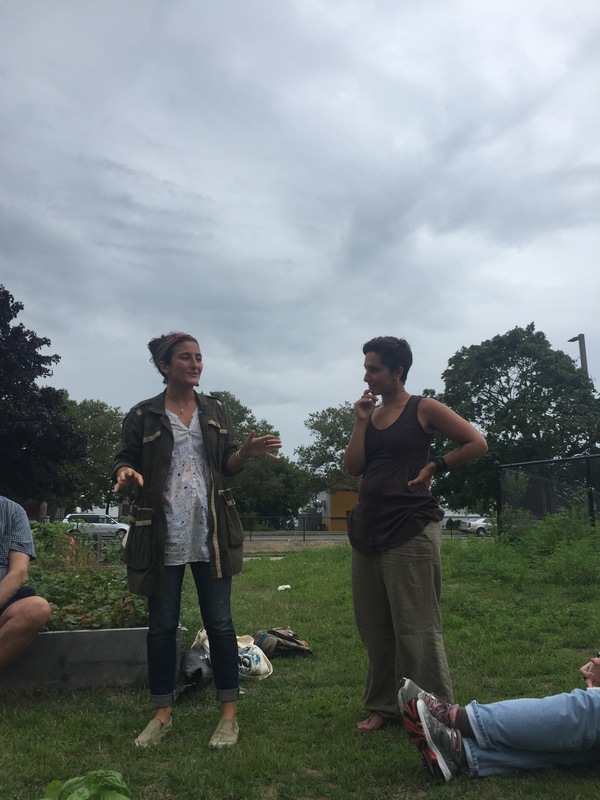 To round out the event and provide additional resources for the attendees, herbalist-in-training, Carissa Wills-DeMello and Sophia Avra of Avra Veda Apothecary spoke about common medicinal herbs, how to grow them and use them in your daily life. 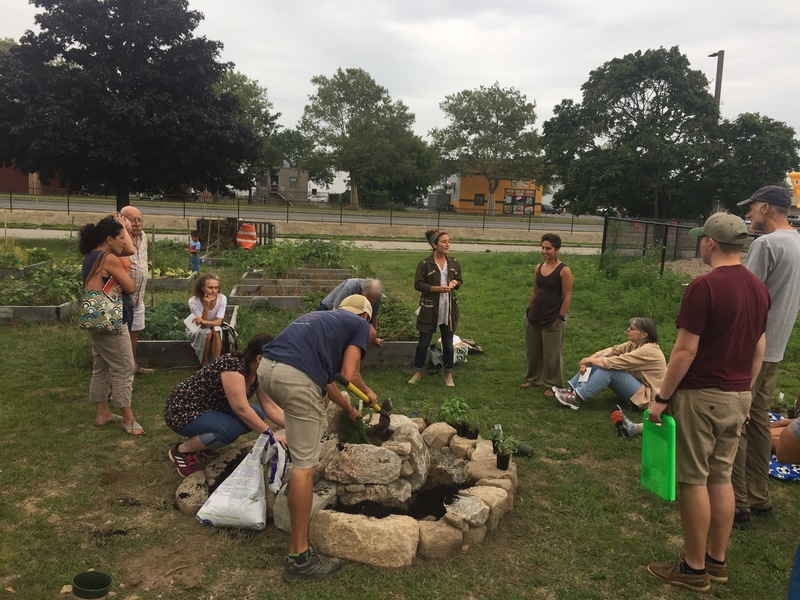 The event will conclude with a look into the future of all of the great work happening in the city of New Bedford surrounding urban agriculture and sustainable future.